At the start of this season owners Paul and Clare Rooney hit Donald McCain with the bombshell that they were removing the majority of their horses with him to other trainers. The 2014-15 campaign was a tough one for the Cholmondeley trainer, with his strike-rate well down on previous seasons and his yard far from firing on all cylinders. Of the horses that have left his care it is telling that many have delivered first time out after a change of scenery. A total of 25 horses have run for different trainers since leaving McCain, nine have won while a further seven finished in the first three on debut for their new stables. That return of 64 per cent of horses finishing in the first three home is a notable stat that could come in handy when dissecting the Betfair Hurdle market. Starchitect is set to be the next in line to make his bow for a new trainer this weekend, having left Cheshire to join the ranks at David Pipe’s Pond House Stables. The son of Sea The Stars was one of the few bright lights for McCain last term, winning or placing in all five of his completed races. He could have had a clean sweep had he not fallen at the final flight when duelling it out for third in the Grade 1 4-year-old Hurdle at Aintree’s Grand National meeting in April. 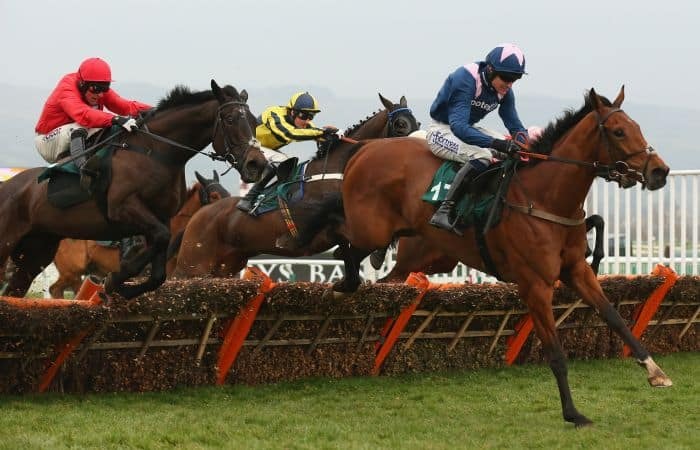 The fact that the horse he was going hammer and tong with Bristol De Mai – a horse currently second favourite for the JLT Novices’ Chase at Cheltenham – when coming down at Aintree shows that the horse possesses plenty of quality. Prior to that he won a couple of times at Bangor and Aintree before finishing second behind subsequent Triumph Hurdle first and third Peace and Co and Hargam. At Cheltenham a bold front-running performance saw him just fade up the Prestbury Park hill to finish a highly respectable fourth in the Fred Winter off a mark just two pounds lower than he will be saddled with at Newbury on Saturday. The winner of that race may not have gone on to achieve much in his next few runs, but with three subsequent Graded winners behind Starchitect that day, the form looks solid enough. Considering the form of the McCain yard last term, and the fact that he stood out above the rest, there is reason to believe there could be even more to come this season. He hasn’t run for 10 months, but was a winner first time out last season, so looks to go well enough fresh and must have a massive chance to outrun his odds of 16/1. David Pipe is yet to follow in his father’s footsteps and land Saturday’s Grade 3 contest (which Martin won twice), but has seen five of his last eight runners place in the morning race. The Nicholashayne handler could well be adding to that tally this weekend, and might even break his duck with one of his newest recruits to the yard, who is an intended runner in the two-mile contest.